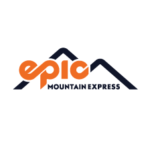 Epic Mountain Express is hiring shuttle drivers for full time and part time roles. Best in industry pay – including overtime. Employment requires exceptional guest service skills, a positive attitude and the ability to be flexible and thrive in an ever-changing environment. A CDL license is not a requirement for driver jobs. For more info email careers@epicmountainexpress.com or click to apply.